Travis Fimmel stars in the Universal Pictures’ presentation of the CGI film Warcraft. *Universal Pictures’ presents “Warcraft” a fantasy 3D IMAX film, based on the video game and novel, where you can live a warrior’s life as the leader of one world who has to unite and trust the leader of another more savage world in order to same your world against an eviler enemy. Rated PG-13 Warcraft stars Travis Fimmel as the hero Sir Anduin Lathar, the military leader of the human world of Azeroth; Glen Close makes a cameo as the legendary Guardian of the realm Alodi; Toby Kebbell as Durotan the leader of the orcs fleeing their dying planet Draenor; Paula Patton as the half-human half-orc prisoner of the Azeroth people; Dominic Cooper as Llane Wrynn king of the human world; Ben Foster as the King’s advisor Wizard Medivh called the Guardian; Ben Schnetzer as the young Wizard Khadgar who discovers the evil magic, and Robert Kazinsky as Orgrim the right hand soldier of orc leader Durotan. The special imagery combined with the 3D IMAX effect puts you right inside the CGI (computer-generated images) film so you an experience the look and feel of how real that world could be. The story is written by Chris Metzen, a Vice President at Blizzard Entertainment which released the Warcraft video game and novel, and the screenwriters are Duncan Jones and Charles Leavitt. The director was Duncan Jones. 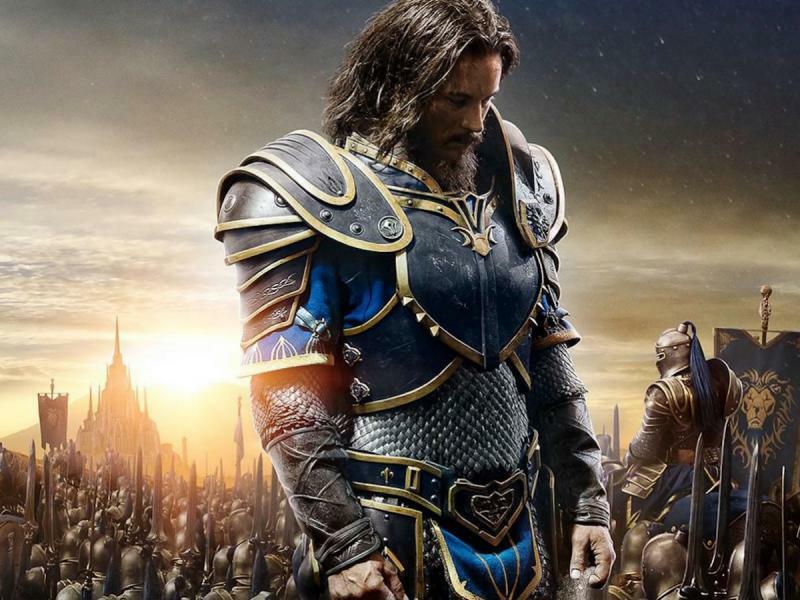 The writer tried and succeeded to merge our own world’s past into the film’s world which made you connect more with the emotional situation of Azeroth world. Its ending begs for a sequel. Producers of Warcraft include Thomas Tull, Jon Jashni, Charles Roven, Alex Gartner and Stuart Fenegain. Warcraft also stars Daniel Wu as the orc warlock called Gul’dan who is full of the evil influence they call fel-magic; Clancy Brown as the orc world’s warchief Blackhand. the puppet of Gul’dan; Burkely Duffield as Callan Sir Lathar’ courageous son; Anna Galvin as the orc leaders’ brave wife Lady Draka; Ruth Negga as Lady Taria Wrynn, the wise and brave queen of King Llane, and the story writer Metzen made a cameo appearance as a turbaned perfume vendor. It seems both the Azeroth and the Draenor’s have a more powerful and sinister enemy to deal with, the evil influence of the fel-magic. Many friends have already been taken over by it and many have died in the war caused by it. Can two worlds trust each other enough to fight the evil together to save the last remaining world between the two? Warcraft has already grossed $171 million worldwide in 65 countries, and its United States and Canada release date is not until today, June 10, 2016. Warcraft is released in Australia June 16, 2016. Warcraft is a Legendary Pictures, Blizzard and Atlas Entertainment production distributed by Universal Pictures. See the trailer and learn more at www.WarCraftMovie.com.